If you own a paved asphalt area like a driveway or a parking lot, there may come a time when years of wear causes it to weaken and cracks or holes begin showing. These can be caused by natural elements like ice, sun, or hail, human wear, or a combination of both. Depending on how old your asphalt is and the level of damage it’s sustained, it may be time to replace your asphalt. 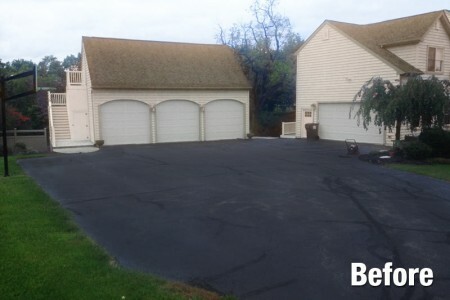 Instead of breaking up the existing material and repaving the entire area (which can take a long time and be costly), our experts can apply a new layer of asphalt on top of your old asphalt to resurface it. As long as the foundation underneath your pavement has remained solid, we can pour asphalt on top of it to fill in any crevices and give it a smooth new surface. This means we can immediately get rid of cracks, holes, divots, and more to restore your asphalt’s old beauty. How Long Does Asphalt Resurfacing Take? 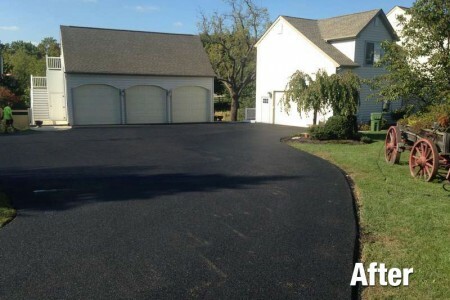 We know you’d probably like your asphalt resurfacing done as soon as possible, which is why our asphalt driveway resurfacing professionals will work quickly and efficiently to make sure that your new area is complete and ready to use in a timely fashion. We can even repaint your parking lot lines and markings, if needed.